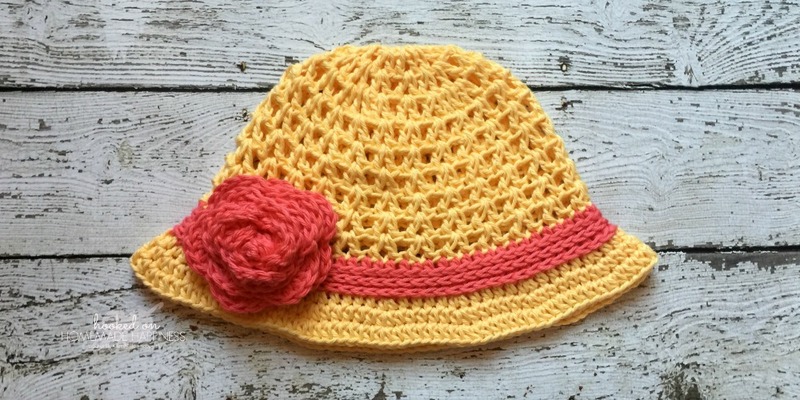 This Sunshine & Roses Floppy Hat is bright and beautiful and the perfect addition to any girl’s summer closet. 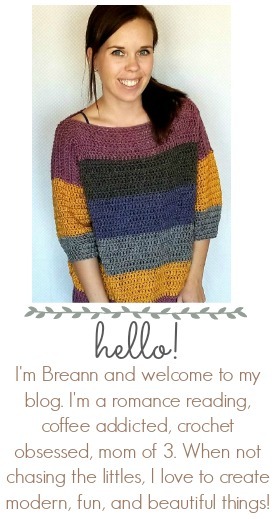 The hat is made with a V Stitch and the stitch combined with the bright yellow reminded me of sun rays. 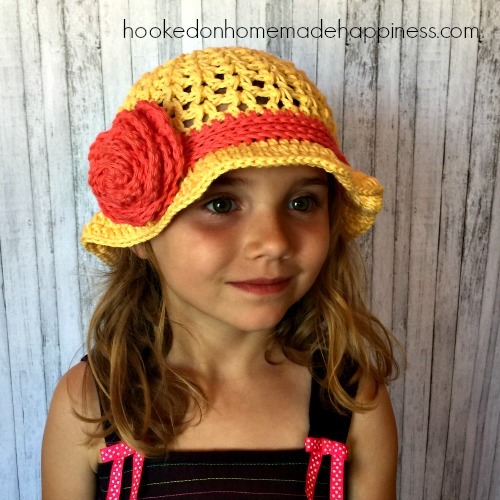 The cotton yarn makes it a great summer hat. Not only is it light and airy, but it can be worn in the pool or the beach. Roll it up like a rose. Try to keep the bottom lined up nice and tight. 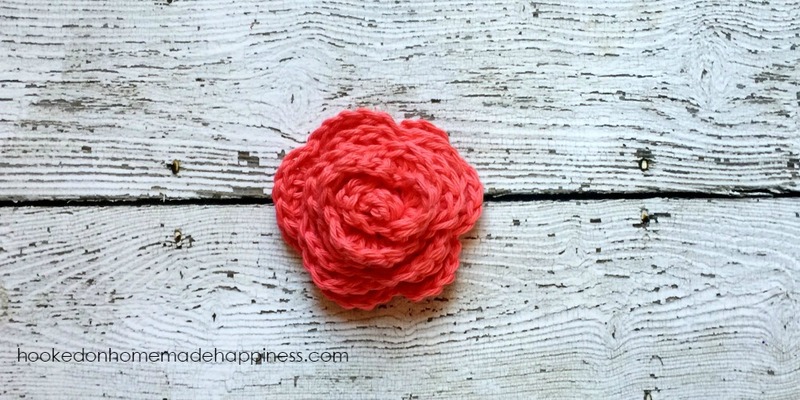 Using your yarn needle and the long tail for sewing, secure the bottom of the rose by weaving it through the bottom, making sure to get all the layers. 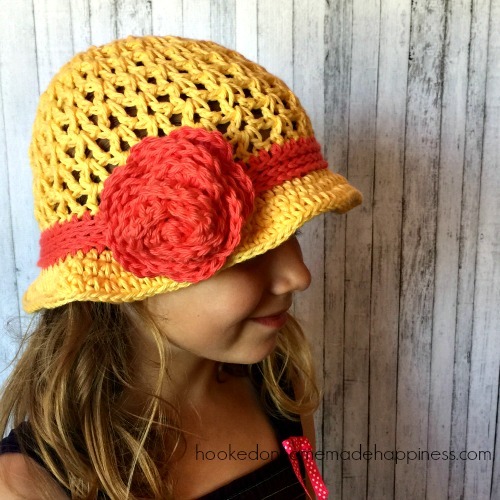 Sew the rose to the hat, on top of the coordinating stripe.